I am happy that i receive something from a country that barely receives anything. Imagine that the last band from Romania was Magica and now LOST. With their latest album the band wants to give us their opinion of the death metal. 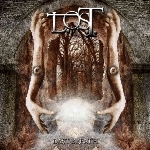 "Last Breath" is the title of their album and it was released last May through Meta4 Productions. So in these five tracks the band gives us their project for the death metal but with the addition of the keyboards we have another atmosphere through the madness of death metal. For sure their compositions are well worked with interesting ideas and you can see that these guys want to give the best to the listeners. If they had a better production then their music will be more easy to listen to it but sometimes you should pay more attention in order to feel the whole things that every band want to offer through their album. I am curious how they will sound in their next step and i wish i will have the opportunity to hear their new album when it will be ready. Until now lets hear again my favorite track "Last Breath" which is also the title track too.